While the quality wasn’t listed, it was in fantastic shape. I don’t think it had ever been used. The corny advertisement in the envelope for swill wine was tacky. But didn’t deter my future with this company. Great look. Red swoosh on the black fabric is awesome. This is how I mourn Nike Golf. 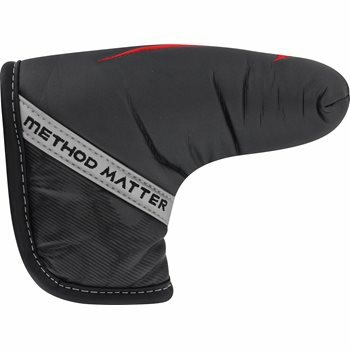 I had received a damaged head cover with the Nike Method putter I ordered. Called customer service and sent a picture of the damage. They replaced with a replacement in a efficient manner. Headcover fits club well.